He served as governor of Massachusetts from 2003 to 2007 and now he can serve as fantastic decoration for your desk! 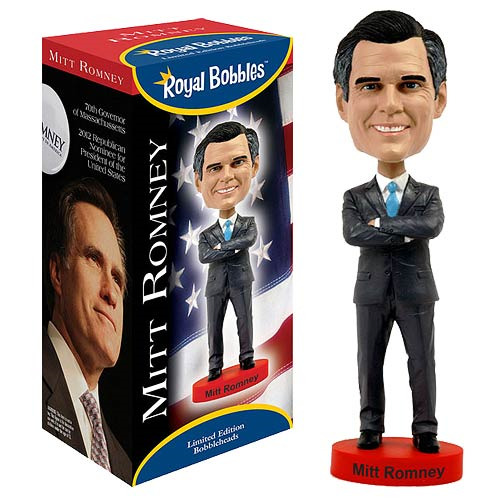 This Mitt Romney Bobble Head features the Republican wearing a classy black suit. This extra-large bobble head measures over 8-inches tall! Made from ceramic. Ages 14 and up!